How did we get to the Trump presidency and the current political moment? How might things get worse and what can we do to build an alternative? 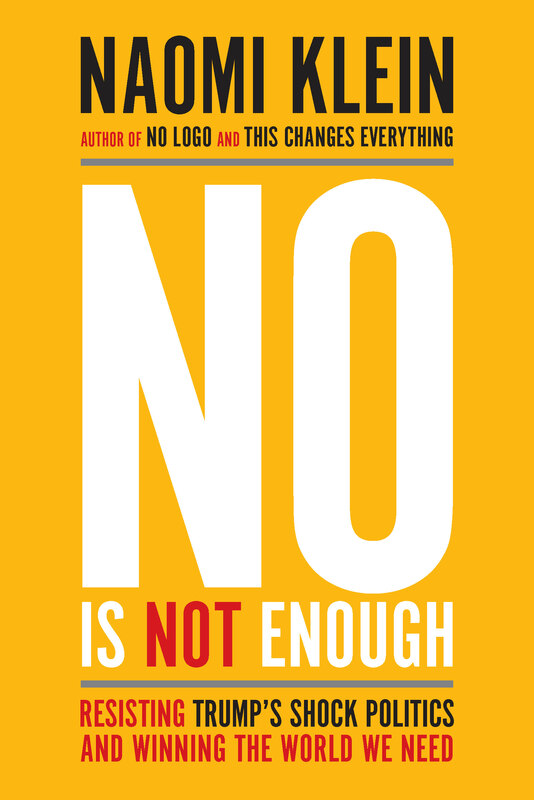 In her new book, Naomi Klein offers what she describes as “a plan for how, if we keep our heads, we might just be able to flip the script and arrive at a radically better future.” Arundhati Roy calls No Is Not Enough “an ordinary person’s guide to hope.” Order your copy today by making a donation to Truthout! Also see: “People Were Resisting Before Trump”: Michelle Alexander, Naomi Klein and Keeanga-Yamahtta Taylor in Conversation and Beyond Celebrity Politics and Capitalism: From Justin Trudeau to Bernie Sanders, and More. On Tuesday, May 9, Haymarket Books hosted a conversation between Michelle Alexander and Naomi Klein, moderated by Keeanga-Yamahtta Taylor, in front of a sold-out crowd of 3,000 at Chicago’s Auditorium Theatre. In this, the final part of the transcript of that conversation (lightly edited for length and clarity), the three women discuss movement-building, the need to write “people’s platforms” and not to rely on candidates, and their hopes and fears for resistance to the Trump regime. Read part one here and part two here. Keeanga-Yamahtta Taylor: To me the three most important questions are: How did this happen? What is the problem? What do we do? We can all have an idea of what it is that we would like to see. The question is how do we get from here to there. I don’t think it’s one thing; there’s smaller things, of course, but within that there’s also larger issues, like: How do we envision what type of movement or movements are necessary to get to the place that you both are describing, where these existential crises that are facing the planet and the people who live on it don’t exist, aren’t ruling our lives? What do you think about that? How do we even begin to move in that direction? Michelle Alexander: I think first we have to begin by telling the truth, which I think has actually been a big stumbling block. We can look at Trump and see how he lies, but I think we also have to look at some of the lies we’ve told ourselves and the lies we’ve accepted and internalized ourselves. One of those lies is that all we need to do is elect more Democrats. No. That actually isn’t going to get us to the Promised Land. If that’s the case, if more is required than simply doing the same thing over and over and hoping and praying for better results, then we’re going to have to ask ourselves: What kind of organizing and movement-building will actually produce a meaningful alternative? I’ve been thrilled to see the sanctuary movement around the country. But I have to say I also have had some feelings of: Wow, why wasn’t there a sanctuary movement when the war on drugs was declared? Where was the sanctuary for people who were suffering with drug addiction, when the police came with SWAT teams and dragged them away? Where were the safe spaces? I think that we need to begin talking about what does it mean to create these safe spaces in our communities, to begin welcoming one another into our homes and into our communities when they’re returning home from prison, people who are on the streets. We need to begin doing the work in our own communities of creating the kind of democracy that we would like to see on a larger scale. 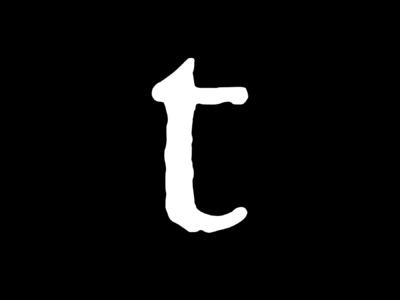 I hope that we will also take seriously the necessity of building alternative parties, and do that work in our communities of organizing movements of movements, creating safe spaces and sanctuary, coming into dialogue, figuring out what a common platform might be for all of us, and building on the work that is happening elsewhere around the community. Even as we resist Trump, doing so with an eye toward building a truly transformational, even revolutionary movement that can become a meaningful alternative to the Democratic and Republican parties. Taylor: I’m wondering, within that context, if you, Naomi, would talk about the Leap Manifesto in Canada as a concrete example of what organizing can look like? Naomi Klein: We tried to do something similar coming on a couple of years ago in Canada and this idea has been spreading. There’s actually been quite a bit of interest, in this country and in different countries, in this model. In Canada, we did start at the national level, it’s a little easier to do that in a country with a much smaller population, but one of the things that’s been interesting is that it’s now gone local. People are taking it and working with it at the city level, at the union level. What it was is precisely what Michelle was talking about: a people’s platform. We actually did it during an election campaign, where we looked around and we saw that not one of the three parties that had a chance of winning the election had a platform that we felt met the historic moment, whether on inequality, Indigenous rights, racial justice or climate change. So, a group of us convened a meeting of 60 movement leaders, theorists, very cross-movement, and we had high-level leadership from the trade union movement, from the climate movement, migrant rights…. It wasn’t perfect: we didn’t have everybody who we should have had, but we had some incredible Indigenous leadership in the room. Getting to that space to dream was really hard, because there’s baggage in all of these movements and there’s terrible history that we’re trying to navigate. We were blessed to have some incredible facilitators to help us work through that, and that’s really important when you’re building these spaces and people are coming together, to understand that arguments mean it’s working. If you’re not arguing, your coalition isn’t wide enough. This is part of healing. But it’s a real skill to know how to facilitate those moments so that you can move past them and through them. Some common themes emerged, and one of them was that we live in this culture of endless extraction and disposal: extraction from the earth, extraction from people’s bodies, from communities, as if there’s no limit, as if there’s no consequence to how we’re taking and disposing, and as if it can go on endlessly. We are reaching the breaking point on multiple levels. Communities are breaking, the planet is breaking, people’s bodies are breaking. We are taking too much. So, the frame that emerged out of it was “moving to a culture of care,” of radical care and consent, which begins with the original caretakers of the land, water and air, which begins with fully implementing the UN Declaration on the Rights of Indigenous People. It means taking the science of climate change seriously, that says that we need to get to 100 percent renewable energy very quickly: in two decades for electricity, for the rest of the economy a little bit after that. But as we make this transition, we have this incredible opportunity to build a fairer economy. Why would we build as unequal a renewable energy sector as we have built a fossil fuel sector? The nice thing about renewables is they’re everywhere, so you don’t have to have monopoly control in the same way. We were inspired by the German model, where in transitioning to renewables — and they’re not all the way there, but they’re a hell of a lot further on than we are — there’s been an explosion of cooperative ownership: 900 new energy cooperatives; hundreds of cities and towns have taken back control of their energy grids so that they run them democratically and keep the profits in their communities to pay for daycares and community centers and lots of good things. But we also said, “No, we want to go further than that, we want energy reparation, we want energy justice.” Which means that the people who have been on the front line of our extraction and of our toxic additions, and have borne the burden in their bodies with soaring asthma rates for their children, and cancer clusters — and you certainly know all about this in Chicago — those people must be first in line to own and control their own renewable energy projects. The other thing that we wanted to do was redefine what a green job was, what a climate job was. We said: “Wait a minute. There’s all these people out there who are doing low-carbon work.” It’s not just guys in hard hats putting up solar panels. Teaching is low carbon. Caring for the sick is low carbon. Daycare is a green workplace. Overwhelmingly, this is work that is done by women, overwhelmingly women of color, on the frontlines of austerity clawbacks. So, we said: “Austerity is a logic that’s at war with life on earth, and it has to end.” And the money is out there, we live in a time of unprecedented private wealth. So, we worked with progressive economists to cost it out and say where the money’s going to come from. It’s going to come from “polluter pays;” it’s going to come from redistribution. So those are the principles: Frontline first. Polluter pays. In this country right now, it’s so crucial — because there are these amazing inspiring social movements that predate the Trump era, and they’ve been surging since Trump — it’s really urgent, I think, that all these movements find space to come together and hash out some kind of people’s platform. I agree with Michelle entirely that it’s not going to work at the national level for the US, but it could work in a city like Chicago. It could start to work at a state level, and we are seeing some examples of this: in New York State, there’s a great coalition called New York Renews that is bringing together labor, racial justice, climate justice to fight for really progressive legislation. Rather than waiting for some perfect candidate to come along and do it all for us, what if the people’s platforms led? What if people figured this out, including what their red lines are? “Any candidate who wants our vote has to endorse this platform, has to endorse these demands.” I think that would put us miles ahead of where we were in 2016. Just waiting, waiting and seeing — “Who’s going to run? What’s it going to look like? Let’s wait and see” — that’s backwards. I think it’s absolutely essential for us to push back against that, particularly the notion that there’s not enough money to fund quality education or to fund universal health care. There’s more than enough. We’re the wealthiest nation in the world and we have spent more than a trillion dollars just on the drug war alone. Imagine if [those] trillion dollars had been invested in education and drug treatment and green energy. We would be living in a different nation today. And so, I want to affirm you [Naomi Klein], by saying it’s critically important for us to dream big and to refuse to believe that the money isn’t there for us to do justice to all of our people. Klein: I’m sure many people in this room have read the Vision for Black Lives, which is an example of exactly this: a powerful social movement stepping up and saying, “This is what we’re fighting for.” Going big and recapturing that utopian imagination. Alexander: I think it’s critically important that the people who have been most harmed by mass incarceration, by mass deportation, by neoliberalism, by all of it, not only have a voice in crafting these platforms but emerge and are supported as real leaders in these movements. We’re living in a time when so many of the civil rights and social justice organizations are run by lawyers and policy people who are often very disconnected from the communities they claim to represent. The knowledge and life experience and perspective of those who know best how these systems function and the harm that they do, and who have incredible resources and imagination about what alternatives might look like that would meaningfully serve their communities — too often they’re trotted out at press conferences, or their stories are told in the media, but they are not supported and cultivated as real leaders in a movement. I think time’s overdue for that to change. Taylor: What are some of the obstacles that we face to the type of organizing that you’re talking about? Alexander: One of the real challenges in movement-building today is what is often referred to as the nonprofit industrial complex. So many of us — and this was true of me when I was working as a civil rights lawyer and organizer — find ourselves in silos competing with others for scarce dollars to fund our work. Naomi in her book has written about the whole phenomenon of branding of organizations and the competition for scarce resources, and also the fact that once you become an NGO or nonprofit, you’re kind of cut out of the political process in a direct way. You’re not allowed to participate directly in the political process. So, you have all of these great people who care deeply about social justice competing with one another for scarce foundation dollars and who are actually banned from the direct participation in the political process in their organizational capacity. This is, I think, a real challenge for the kind of movement-building that is necessary today. I think many of us in the room have seen movements divided by competition over money and resources. So, as we build this movement of movements, we’re going to have to think very creatively and carefully about how we ensure that this fight for resources, and the competition that is built into how nonprofits and social justice organizations function today, don’t undermine the solidarity we need to have in building the movement. Klein: I think it’s helpful to try to speak about it without too much recrimination, because we are all products of our time. Our time is 40 years into the neoliberal project and it’s been damn successful. It has waged war on many of the institutions that have traditionally provided infrastructure for social movements, like trade unions, like universities. It has systematically clawed back at so many collective spaces that used to provide some glue. It has put us all into these little silos and taught activists to think of themselves as brands, as corporations, to use the tools of marketing. Social media just made it worse, because it created this incentive to have campaigns that were instantly winnable, so you could say “we won,” and that is a disincentive to getting at these root causes that we’re talking about. In the same way, the foundations want: “What’s your ‘braggable,’ what did you win and what can you take all the credit for?” Not “what can you share credit for?” But that’s not how you build a movement, that is the opposite of how you build a movement. There are ways of talking about this which are all about just hating on each other — and we do a fair amount of that on the left, or is it just me? — but I really do think we should try to come at it with compassion. We are trying to build in the rubble of neoliberalism. There are lots of incredible people who are working in very flawed structures that are designed to keep us apart, so we’re going to have to figure this out. The first stage is just talking about it openly: We are all working within structures where there is a disincentive to do what we most need to do, which is come together. I don’t know what the answer is but I definitely think that that first stage is just being honest about it and trying to speak about it in a way that is not just accusatory. Taylor: Last question: What are you hopeful and optimistic about? Alexander: What makes me hopeful in this moment is the incredible surge of energy and enthusiasm that we’ve seen from a wide range of people who were asleep for the past eight years, who are now paying attention. The so-called resistance is very broad and we don’t agree on everything, but there’s a moment of opportunity when people are paying attention. It’s time for us to really get serious about political education and about our own moral education in this moment, and to seize this opportunity to organize and be in deep dialogue with a whole lot of people who never even thought about being politically engaged or active before. There’s real hope there and real opportunity. My fear is that we will mistake the brand, the “resistance,” for greater unity than actually exists and wind up settling for any Democrat the next time around. We have an opportunity right now to build much greater consensus about the need for a meaningful alternative and building a truly transformational movement, town by town, city by city, that has the potential to help birth truly revolutionary change in this country. That potential exists. We got a glimpse of it when such enthusiasm erupted over a democratic socialist running for president. But we can’t just assume that this resistance is going to produce the kinds of candidates or the kinds of parties that will truly honor people of all colors, all backgrounds, all ethnicities, from every nation and every faith and every gender, unless we do the work in our own communities of organizing and being in deep dialogue with one another across all forms of difference. It’s my hope that we’ll seize this opportunity and not let the moment pass. Klein: One fear I have: I’m worried about how this gang of thugs is going to use crisis. You guys know all about this in Chicago. Your mayor said, “Never let a good crisis go to waste.” So, close down a lot of schools, I believe is what he meant. The thing about these guys is that their policies are a crisis-creation machine. You deregulate the financial sector, get rid of Dodd-Frank — they’re in the middle of it — well, you think there’ll be another financial crisis? I wonder! One of the things that they’re doing in dismantling Dodd-Frank is getting rid of precisely the provision that was designed to prevent the public being stuck with the bill for another bailout. So, what’s the incentive not to go wild? They know they’re going to be bailed out. And they’re still too big to fail: They know that too, since nobody was prosecuted. The question we do need to think about, as we prepare and as we strategize together, is: What are we going to do with the first shock? There are many more items on their toxic to-do list than we have seen so far. Betsy DeVos wants to do to the whole school system what they did in New Orleans, which now has the most privatized school system in the United States, because when people were out of their city and unable to protect their schools, they were turned into charter schools overnight and thousands of teachers were fired. And you’ve experienced this without Katrina here in Chicago. There’s lots more that they want to do. Trump said he wouldn’t touch Social Security — well, all it takes is one economic crisis. I’m particularly thinking about how they will use security fears. We’ve been talking about how resistance is not enough, and it’s not enough and it’s not our brand. But one moment when it is incredibly important to resist is in that moment when they’re trying to scare you. In that moment, when they’re telling you to stay home, that is when you go out. When they’re saying stay home, go out. We don’t know when it will happen. Flood the streets. That matters more than anything. When they try to take away the right to protest, flood the streets. Get ready. That’s what’s happening right now. The world is being held up a mirror: “All roads lead here. Do you like it?” A lot of people don’t like it. A lot of people are saying, “Wait a minute, if our system can produce that, there’s something wrong with this system.” That opening is ours to seize. It matters how we name it: It’s not called Donald Trump. It’s called capitalism. There are going to be many openings, and we’re seeing this, we saw it with health care. Every time their nightmares meet their incompetence, it creates an opening to say, “Well, what about universal health care?” The same thing’s going to happen with trade when they try to renegotiate NAFTA, that’s going to create another opening. So, we have to enter into each one of these spaces and say, “This is what we really want.” But we’re not going to be able to do that unless we do this organizing, and come together and get really clear on what that is. Michelle Alexander is a civil rights lawyer, advocate, legal scholar and author of The New Jim Crow: Mass Incarceration in the Age of Colorblindness. Keeanga-Yamahtta Taylor writes on Black politics, social movements and racial inequality in the United States. Her articles have been published in Souls: A Critical Journal of Black Politics, Culture and Society, Jacobin, New Politics, the Guardian, In These Times, Black Agenda Report, Ms., International Socialist Review and other publications. Taylor is assistant professor in the Department of African American Studies at Princeton University. He’s even started bringing a long-taboo word back into mainstream American political conversation: socialism. In Indiana, it’s possible to organize working-class people across race to create a realignment of political forces, says Jesse Myerson.